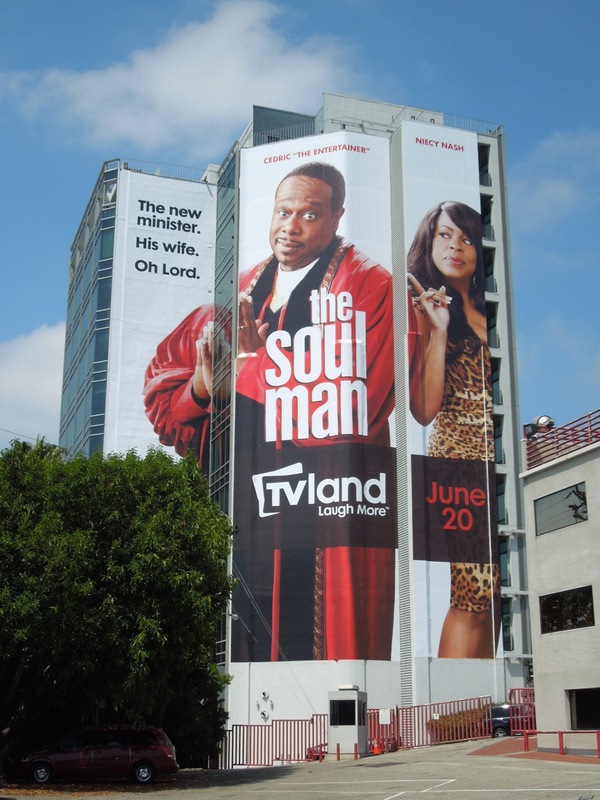 There's nothing like mixing a bit of religion with comedy to get a few laughs and that's exactly what TV Land hopes with their new sitcom The Soul Man. Spinning out of a guest-starring role in Hot in Cleveland, Cedric 'The Entertainer' plays Reverend Boyce 'The Voice' Ballentine, an R&B star turned preacher who takes over his father's church, whilst Niecy Nash stars as his sassy wife. 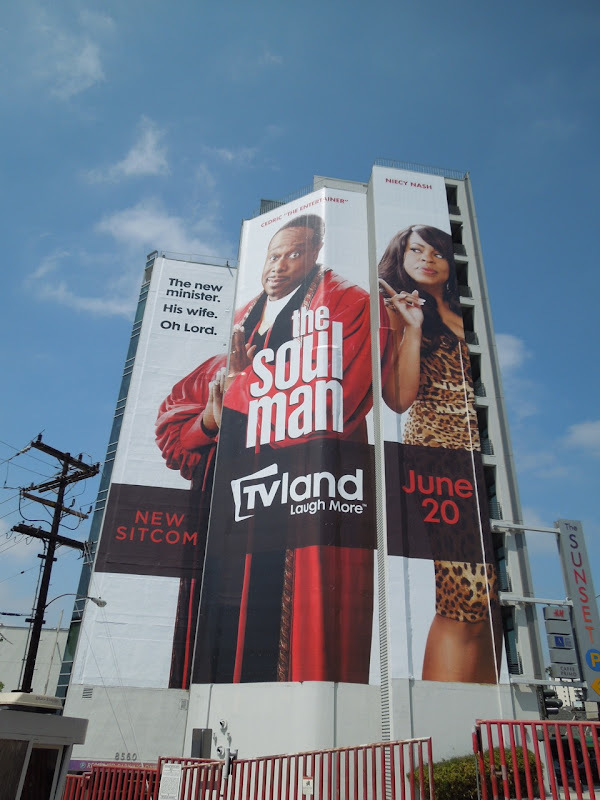 This giant-sized billboard for the new comedy series was snapped on June 3, 2012 along L.A.'s Sunset Strip. 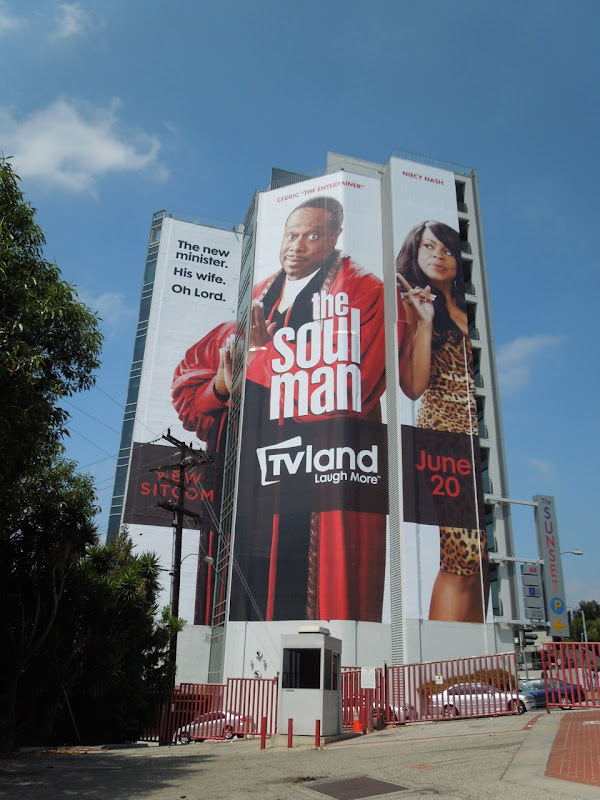 Be sure to also check out these super-sized ads for TV Land's other sitcoms, like this giant billboard for The Exes and season one billboard for Happily Divorced.